Shawn Michaels To Referee Triple H Vs. The Undertaker? HBK advertised for Super Show-Down appearance. 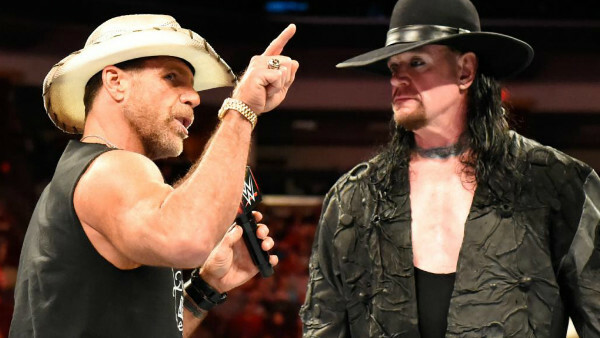 Shawn Michaels returned to WWE Raw this week to hype Triple H's upcoming Super Show-Down match with The Undertaker, but it may not be the last time fans see him in 2018. Per Bryan Alvarez on the latest episode of Wrestling Observer Live, Michaels is currently being advertised as the special guest referee in Australian media, with his Raw confrontation with 'Taker acting as a set-up. If it happens, the format could ape WrestleMania XXVIII, when Triple H met 'Taker inside Hell In A Cell. The bout was touted as "the end of an era," Michaels was the referee, and the trio embraced at the top of the ramp afterwards, seemingly bowing out on top together. This obviously wasn't the case, but with this latest HHH vs. Undertaker match being sold as their last singles match, could WWE go for a recreation? Chances are high.